This shop has been compensated by Collective Bias, Inc. and its advertiser. All opinions are mine alone. #EarnWithBoxTops #CollectiveBias. 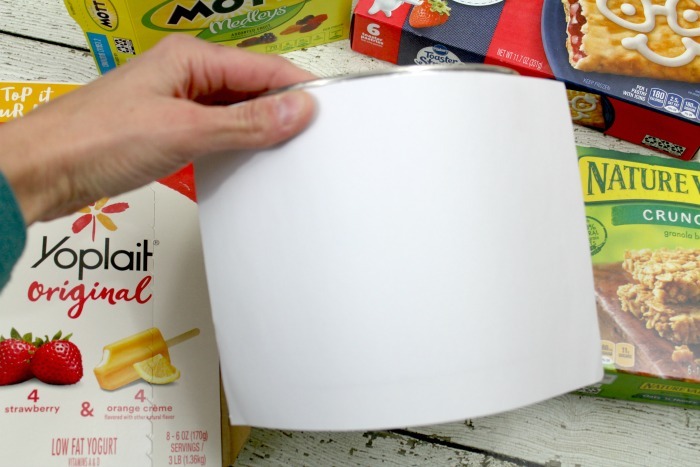 Make this DIY container and easily collect Box Tops for education at your school! 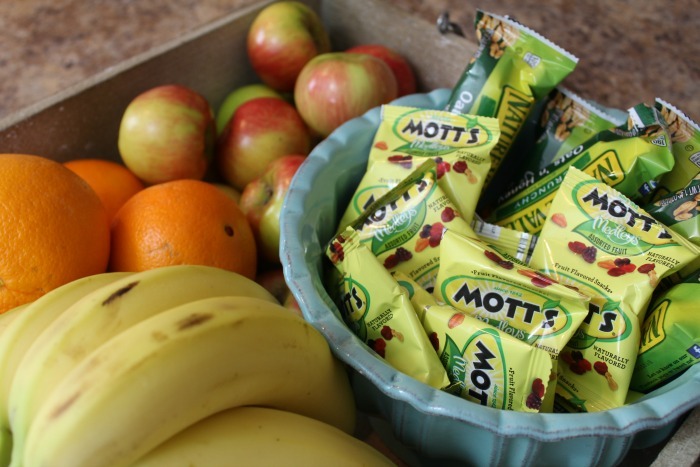 Plus great ideas for an after school snack station. 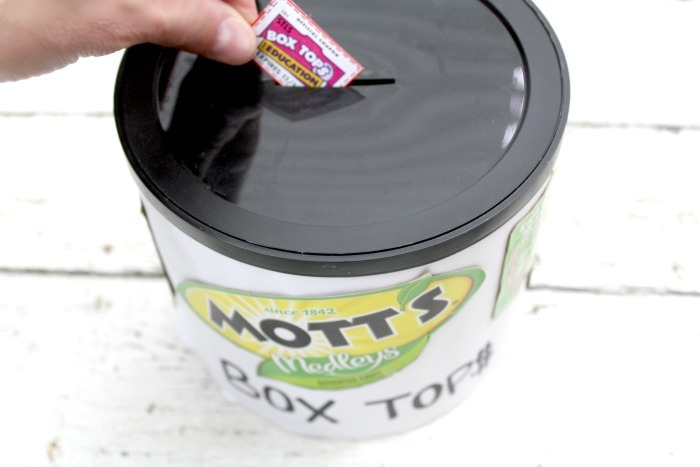 Box Tops for Education is a major fundraiser for schools across the united states. I have had at least one school aged child for the past seven years and each year we collect Box Tops for Education as one of our most successful school fundraisers. 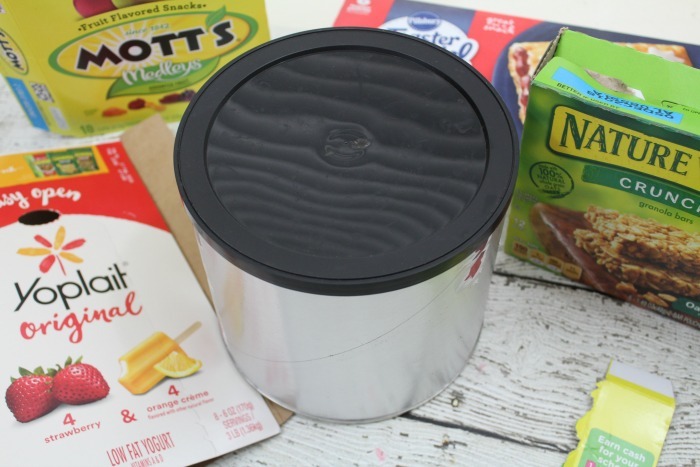 Box Tops for Education is an incredibly easy way to earn money for your child’s school just by purchasing the products you would already buy for your family. I love that our favorite Box Tops brands not only earn money for our school but they make getting breakfast, lunches, and snacks on our busy school days incredibly simple! There is also a NEW Box Tops Bonus App so you can earn even more cash to help your school get what it needs through the Box Tops for Education®. Turn your everyday receipts into cash for your school. It’s free and as easy as 1-2-3. You can easily download the Box Tops Bonus App from iTunes or Google Play and start earning bonus box tops! 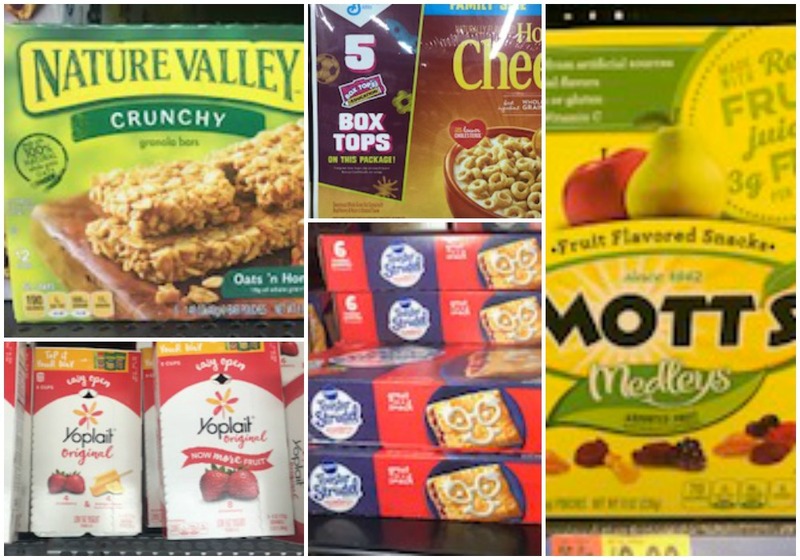 Each week I do my grocery shopping at Walmart and make sure to grab some of our favorite box tops snack products like Mott’s Medleys® Fruit Snacks and Nature Valley™ Oats N Honey Granola Bars. I add these and some fresh fruit to a large bowl in the kitchen to make after school snacks and even packing lunches quick and easy. 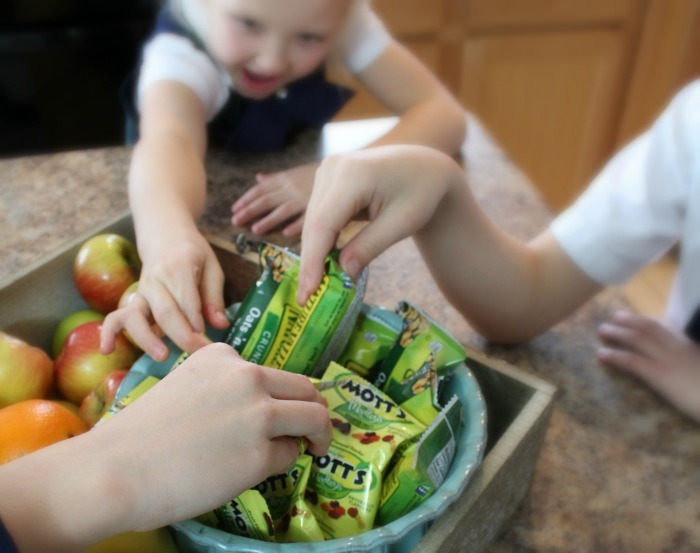 Having pre-approved snacks ready and available helps make the after school rush go smoothly, the kids can just grab what they need. 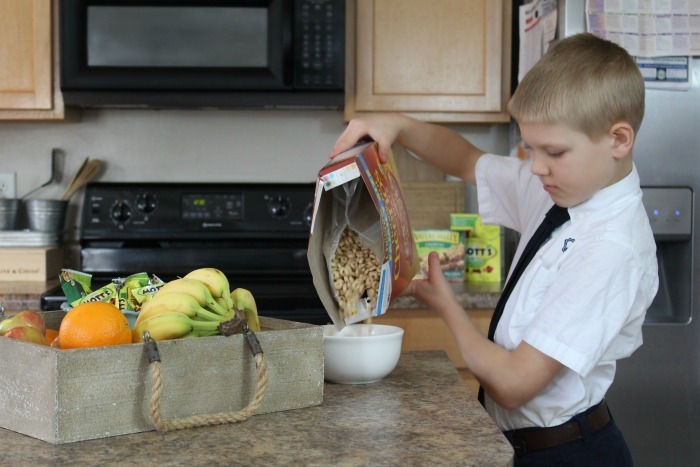 I also make sure to pick up breakfast items that the kids can make themselves on those crazy mornings when we are all trying to get out of the house on time! I like to stay stocked with Honey Nut Cheerios™, Pillsbury™ Toaster Strudel™, and Yoplait® Original Fridge Pack. Each of these are box tops products and provide an easy breakfast for the kids. After cutting out our Box Tops, we save them all at home in our magnetic box top holder until it is full. And once we’ve collected them we deliver them to the school. As a member of our school’s PTO for years I’ve had the privilege of collecting, counting, and sorting Box Tops for Education that have been turned in to the school and making sure we have a successful Box Tops fundraiser. I have found that a very simple way to collect these Box Tops is to keep a large container in the front office for Parents to drop them off whenever is convenient for them. Keeping a decorated Box Tops container in the school’s main office also serves as a reminder to any students, parents and staff members as they come in each day. 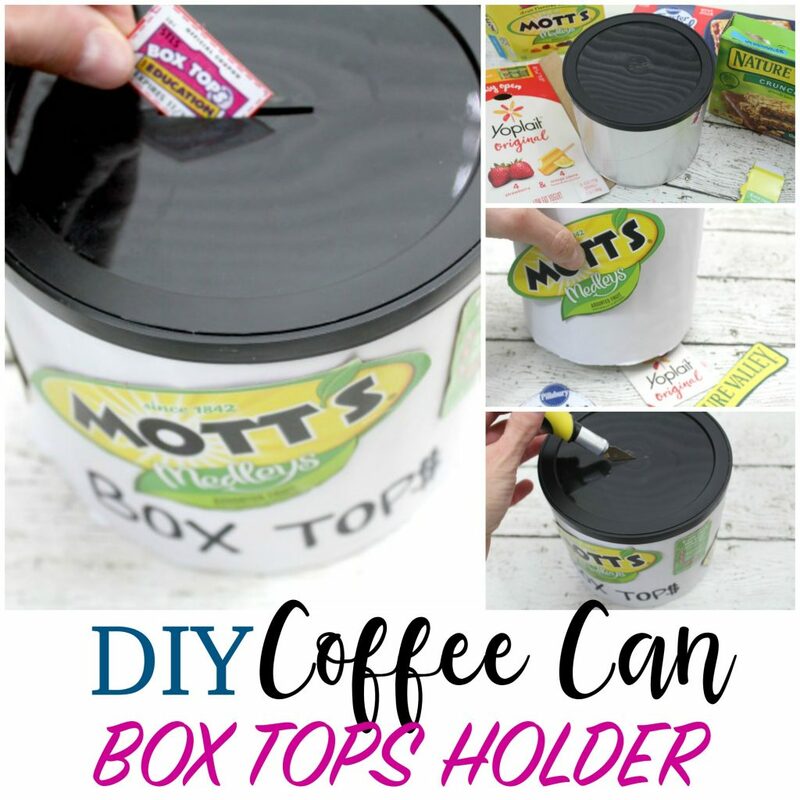 Any easy way to make a Box Tops for Education collection box is by reusing the product packaging and an empty coffee can. To make a Box Top holder for our school’s office I saved an empty coffee can, a few Box Tops product packages and decorated it so everyone would know what it was. 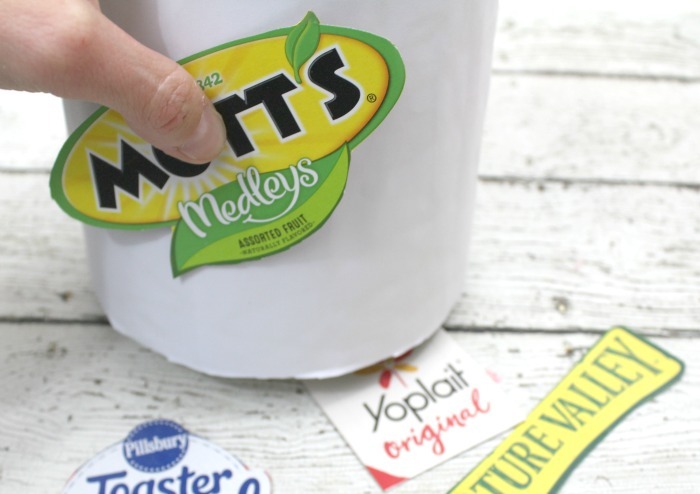 To start, I removed the wrapper from the coffee can and cut out the logos of my Box Tops products – to remind people which products have Box Tops. Using hot glue (you can use another adhesive but I was looking for a quick way to put this together) I wrapped my coffee can in white paper. 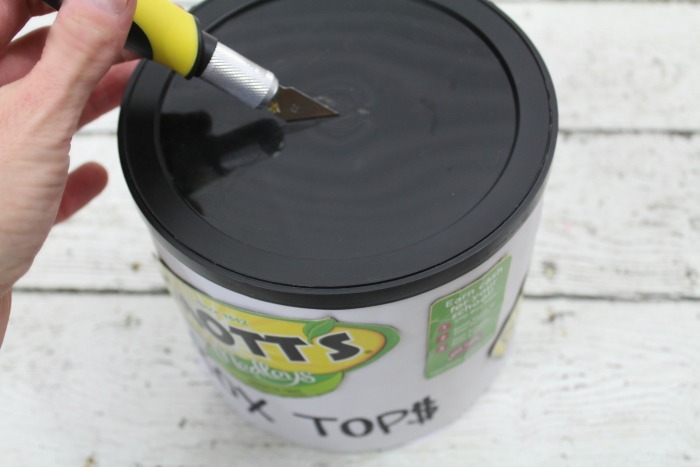 The last step was to use a utility knife to cut a drop slot into the lid of the coffee can. When it was complete I dropped it off in our school office – easy and effective!